News from the far north: Uppspretta (engl. resource) launched the first Icelandic p2p lending service earlier this month. Uppspretta’s main goal is to allow startup companies to apply for microloans. Uppspretta.is was founded by Björk Theodórsdóttir, Ingi Gauti Ragnarsson and Ragnheiður H. Magnúsdóttir. Uppspretta co-operates with Naskar, a group of Icelandic woman entrepreneurs, using them as a show-case for lenders and enabling a start with a secured supply of lender funds. Furthermore she pointed out that unlike other players Uppspretta is free of regulatory chains: “We worked closely with the regulators in Iceland and the conclusion was that Uppspretta would not require any licence to operate.”. Uppspretta charges a fee of 4 percent of the funded loan amount. Moneyauction, a Korean p2p lending company, says it is “the No. 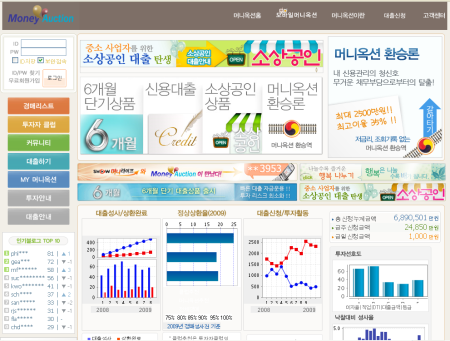 2 [website] in Korea’s non-bank area, but the number 1 website in the finance area”. And it has impressive figures to prove it. 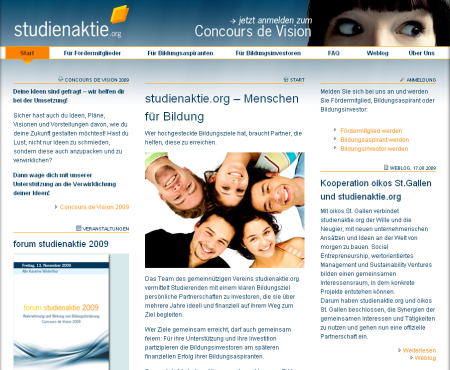 Between June 01th, 2007 and Sep. 15th the loan amount applied was 56.6 million US$. Moneyauction partnered with telecommunication carrier Korea Telecom and offers a mobile service allowing borrowers to apply for and lenders to bid on loans via their cell phone. In 3 months Moneyauction plans to launch a secondary market (called ‘Divided bond trading’). A spokesman told P2P-Banking.com that he expects this new feature to boost the transaction volume. In an video interview in June, Konrad Hummler, managing partner at Swiss Bank Wegelin & Co, states how he sees p2p lending as a threat to banks. P2P lending services could replace vital functions of banks. He says government influenced major banks are to inefficient. Established institutions will use calls for regulation to protect their business against newcomers. Animated GIF showing the introduction of new countries served by Kiva loans over time. CommunityLend Approaching Launch in Canada? Microlending.ca reports that CommunityLend may be ready to launch soon as it cleared another registration hurdle. A legal document published at the Ontario Securities Commission site gives lots of details on CommunityLend’s p2p lending plans. It also reveals that p2p lending in Canada will (at least initially) be restricted to accredited investors (high wealth individuals). See Dan’s articleat Microlending.ca for a review of the document.